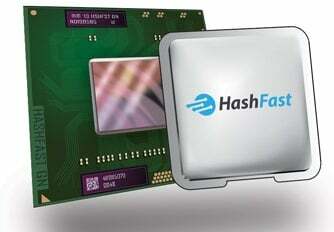 The California-based HashFast Technologies LLC, a leading fabless semiconductor company specialized in high performance hashing ASICs, announced it has signed an exclusive deal with the global provider of performance computing products and software CIARA Technologies. The partnership has an ambitious goal: to produce new and powerful Bitcoin mining rigs that will count with HashFast’s 28nm ASIC chips. During this period of cooperation, the Canadian CIARA will exclusively produce equipment for HashFast Technologies, according to a press release. The North-American company announced the design of its first 28nm ASIC chip back in July and began taking orders of its first Baby Jet mining rigs in August. The first batch of Baby Jets sold out immediately and was followed by additional batches, as well as by the production of Sierra, a commercial grade Bitcoin mining machine containing three of HashFast’s 28nm ASIC chips. The chips are currently being fabricated at TSMC’s GIGAFAB foundry in Taiwan and will be incorporated into the CIARA-built rigs. “CIARA is an expert in designing high-performance, low-power consumption systems and is uniquely able to handle HashFast’s extreme-performance 28nm ASIC chip”, says Eduardo deCastro, the CEO of HashFast. “We designed our rigs to be overclocked for greater speed, with on-die thermal controls to allow safe and reliable operation at absolute maximum performance. Partnering with CIARA on the production of the mining rigs not only gives us access to the best technology, it also allows us to deliver high quality rigs quickly“, since the products will be shipped from Canada, he adds. On the other side, Patrick Scateni, vice president of Sales and Marketing at CIARA, says this partnership “will ensure Bitcoin mining customers get the most advanced mining rig money can buy”.